Before last year’s triple disaster in north-east Japan, Tsuchiyu Onsen drew tens of thousands of tourists in search of the recuperative qualities of its piping hot spring water. Almost 18 months after the nuclear accident at nearby Fukushima Daiichi power plant, that same natural resource is about to turn this spa resort into a trailblazer for the country’s push towards renewable energy. By spring 2014, Tsuchiyu, 9 miles (15km) from Fukushima, will be generating 250 kilowatts of electricity – about a quarter of the city’s total needs – at a geothermal plant hidden away in the surrounding mountains. The plant will be the first to be built inside a national park, a controversial move that only became possible after the environment ministry recently relaxed regulations on developing protected areas. If all goes to plan, the project could not only help the town become self-sufficient in power generation, but revive its role as a tourist destination after visitor numbers plummeted amid lingering fears over radiation. In the past, hot-spring operators have been among the fiercest opponents of geothermal energy, an obvious source of energy given Japan’s huge subterranean reserves of volcanic water. Many fear the plants would affect the flow and quality of the water, which is pumped up from the depths and then cooled for the benefit of Japan’s enthusiastic bathers. Matsukawa Geothermal Power Station, Iwate Prefecture, Japan. Photo Jason Hill. The move also makes economic sense. Under a new feed-in tariff system introduced last month, utilities are required to pay premium prices for renewable energy – 42 yen (34p) per kilowatt for geothermal power. The 300m-yen (£2.5m) facility will use water pumped from below ground and combine it with an ammonia-like substance with a lower boiling point than water to propel a turbine. Resistance to geothermal power, coupled with the pre-Fukushima faith in nuclear, means that until now Japan has failed to tap into a resource that energy experts believe has huge potential. 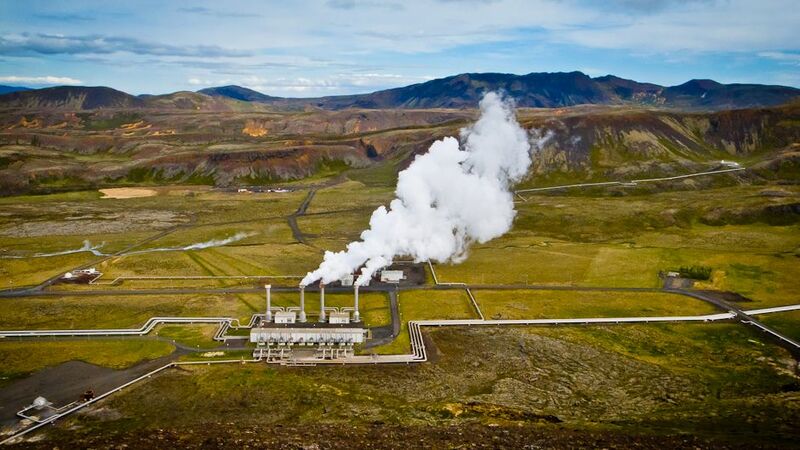 Its 18 geothermal plants account for 0.2% of electricity output, according to the trade and industry ministry, and no new plants have been built for a decade. Scientists believe the sector’s share could rise enormously thanks to the feed-in tariff, new subsidies to fund feasibility studies and test-drilling, and official recognition that nuclear’s heyday has passed. According to one estimate, Japan’s geothermal capacity could reach 24m kilowatts – the third biggest in the world after the US and Indonesia – compared with less than 550,000 kilowatts now. 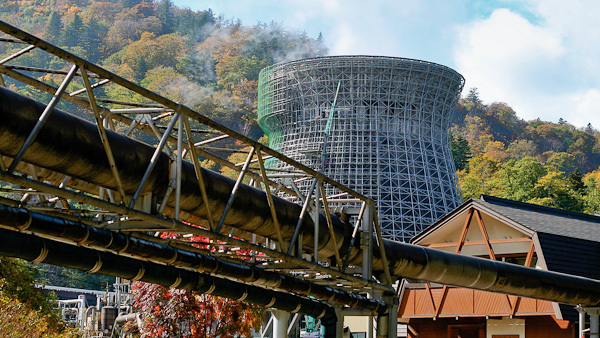 Tsuchiyu has other compelling reasons to embrace geothermal power. Visitor numbers dropped dramatically after the Fukushima nuclear disaster, and while a recovery is under way, fears of radiation persist, even though recorded levels here pose no health threat. Profits from the venture will be used to repair three damaged hotels and rebuild three others that were destroyed in the earthquake. In the long term, Ikeda believes Tsuchiyu will become a model for other small towns struggling to find clean and stable sources of energy, while experts debate if nuclear has any role to play in Japan’s future energy mix. If the experiment works, it should allay anxiety among other Onsen operators about potential damage to hot-spring water flows – the financial lifeblood of countless similar resorts around Japan. Eventually, the geothermal plant will be capable of generating 1,000 kilowatts, according to Ikeda. That is a tiny fraction of the capacity of just one of Fukushima Daiichi’s now crippled reactors. But with opposition to nuclear restarts unlikely to waver, towns such as Tsuchiyu have no choice but to turn to alternatives, he said. Justin McCurry is the Guardian’s Tokyo correspondent.